ON SALE THIS WEEK- 20% OFF!! 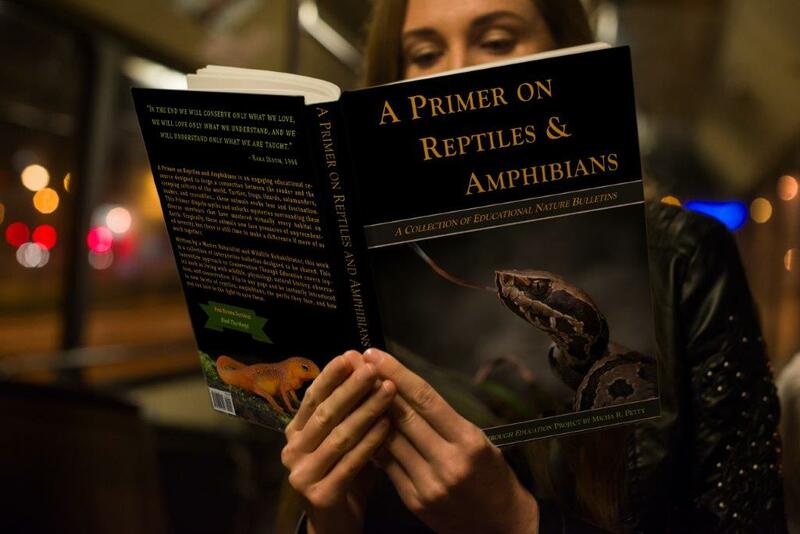 A Primer on Reptiles & Amphibians is suitable for all ages and experience levels. Each page is a different lesson, and it is full of beautiful color photographs. It is formatted as a collection of 8.5" x 11" bulletins, designed to be easily printed and shared. The mission behind this book is to help more people get to know these fascinating animals and to raise awareness about their conservation concerns. Any proceeds go to support animal rescue and conservation. Read reviews and more info on the landing page. This is our main item. A year in the making and winning an impressive international award before it was even released, the Primer is a landmark contribution to Conservation Through Education. You can download the Primer for free anytime, and you can buy a very nice sewn-bound hardcover full of color illustrations on every page. Most people that view it come back to buy a copy. Save time and get yours now- on sale!